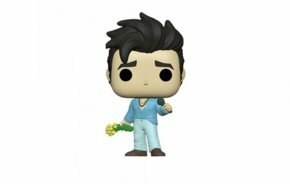 Is Morrissey now too problematic for us to enjoy his Funko Pop? We like Funko Pops, those oddly shaped novelty figures. We used to like Morrissey, a man who has truly lived too long for his own good. But is he a racist, preventing us from liking his Funko Pop? As we wrestle with judgement, the release info is this summer. At least we’re safe with a Prince one.